Is it possible to conceive two perfectly identical objects? Is identity even possible without individuality? How would a perfectly symmetrical universe be? The current philosophical debate on identity, and in particular on the necessity of the Leibniz's principle of the identity of indiscernibles, is complex and multi-faceted. Recent works have indicated that the problem becomes increasingly complex if we apply it to mathematical objects. Is it possible to speak of ‘identity’ for numbers? How can we identify numbers? Drawing on philosophical accounts on identity and individuality in contemporary metaphysics (analytic and continental), this book explores a new path. The author argues that an identity without individuality is possible. By means of a critique of the idea of the identity of indiscernibles, the book formulates the concept of 'manifold identity', through the concept of 'iteration'. Iteration is a specific transgression of the identity of indiscernibles arising from the collision of two forms of identity: qualitative identity and numerical identity. Nonetheless, a pair of perfectly identical objects is still a paradox, a contradiction. The first thesis of the book is that iteration is a paraconsistent and dialethetical logical structure, which allows for true contradiction. The author applies recent works in non-standard logic and dialetheism (Priest, Routley, Berto) to illustrate how we can make sense of the idea that objects can be perfectly identical but discernible. 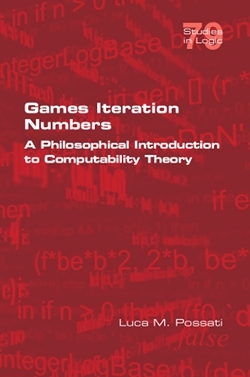 The second thesis of the book is that iteration is the basis of enumerability and computability. A 'computable object' is an object constructed on the basis of an iterative logic. It is possible to re-interpret all the primary concepts of computability theory through the logic of iteration.